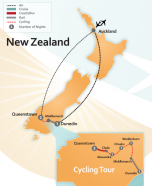 New Zealand mountain biking and cycling tours are a true, one-of-a-kind Kiwi adventure. 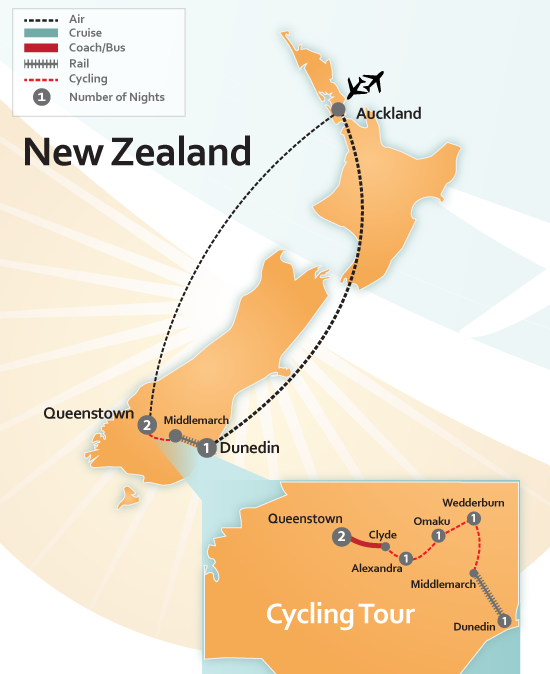 With diverse riding trails through stunning nature, picturesque vineyards and historic villages, a New Zealand cycling trip is an incredible holiday like no other. 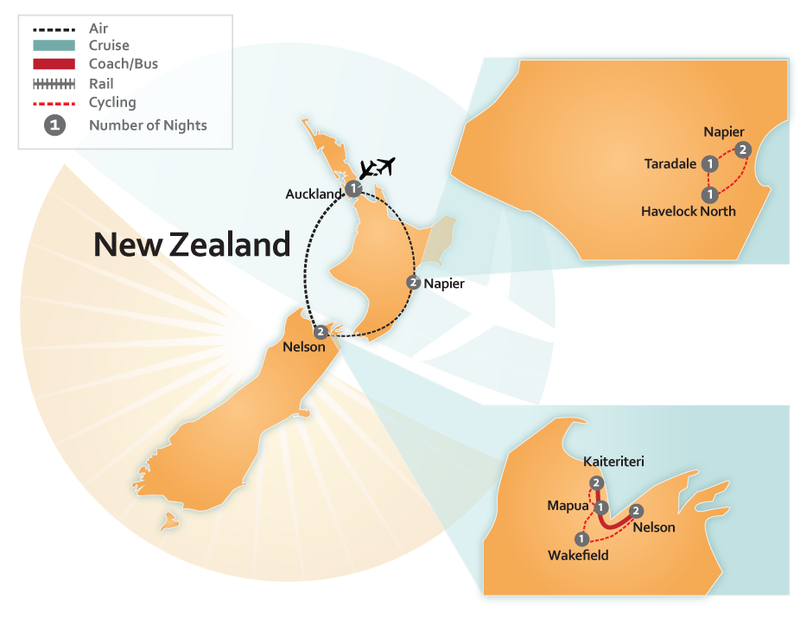 A bike tour in the North Island is a completely different experience to a cycling trip in the South Island. 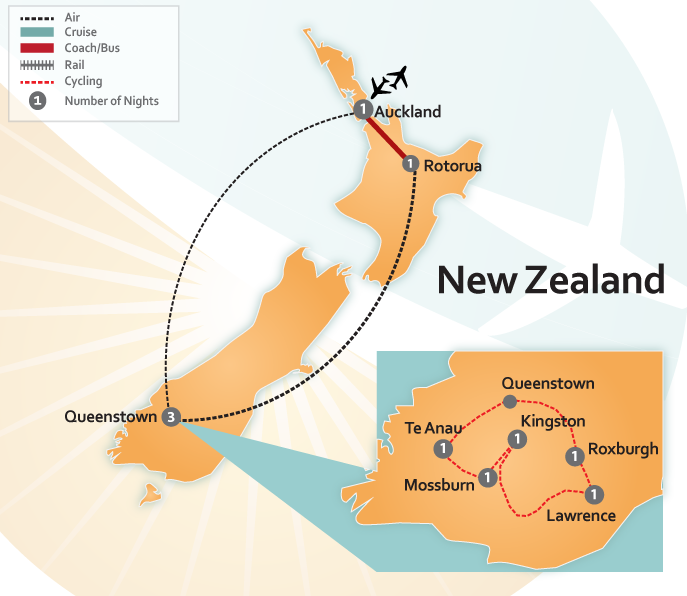 Come face-to-face with the dramatic mountains of the South Island, the leisurely wine trails in Nelson, and the fabulous art deco architecture in the North Island. Strewn with trails for every kind of cyclist, our New Zealand travel experts will plan the perfect cycling tour for the trip of a lifetime. 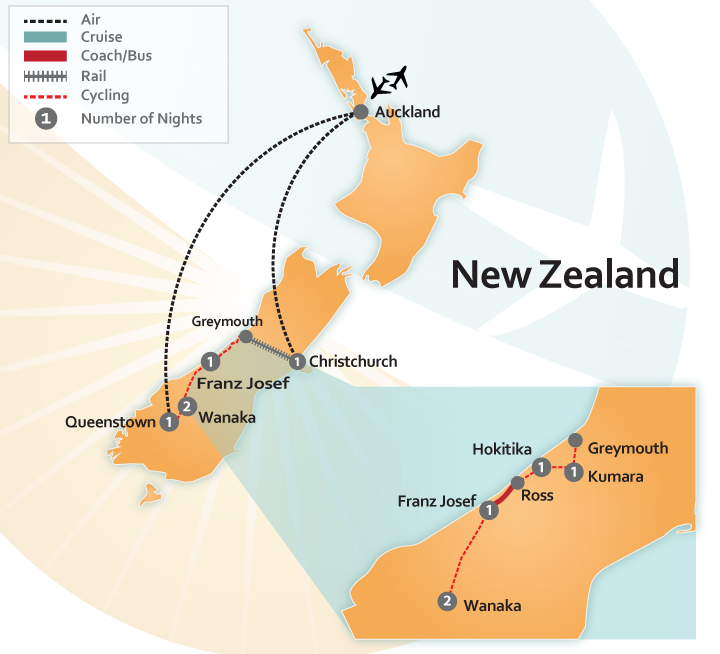 Take it easy on the idyllic Hawke’s Bay trails, cycling through vineyards and along beach shores. Go winery hopping or grab a pint and fresh gourmet food on the Great Taste Trail in Nelson. 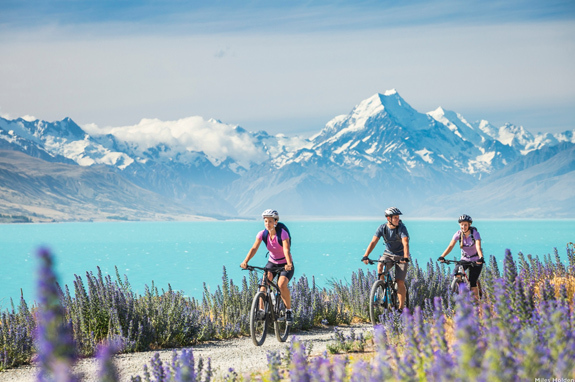 Cycle along the turquoise waters of Lake Pukaki and head to the mountains on the Alps 2 Ocean trail. Ride through historic gold mining towns and railways on the Otago Rail Trail. For the more adventurous, the West Coast Wilderness trail promises spectacular mountain biking through bush, rugged beaches and rivers. Our New Zealand cycling tours include stays in boutique and lodge accommodations showcasing the best of New Zealand’s contrasting regions and warm hospitality. Your luggage is carefully transported from one stop to another, and if you grow tired on the trail, a shuttle is ready to transport you the rest of the way. We’ll take care of all the details so you can get the most out of New Zealand’s incredible trails. 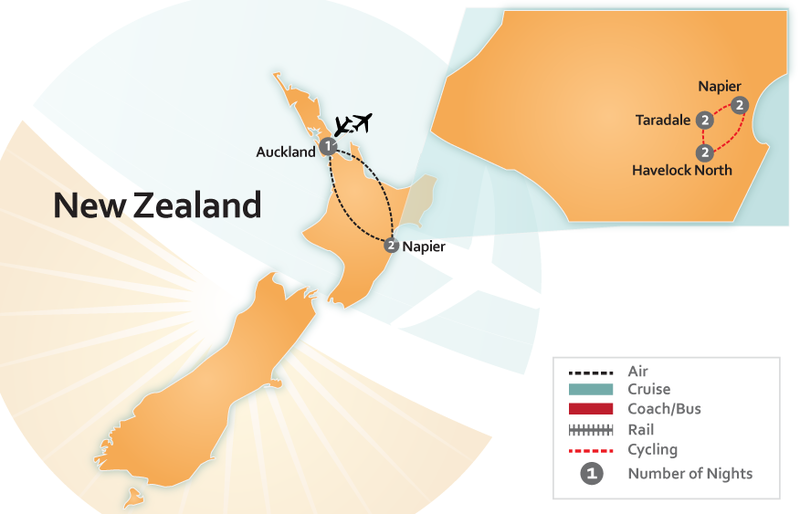 Our travel experts specialize in customizing New Zealand cycling vacations so you see and do just what you want to do. We can find the perfect cycling package for you, whether you’re looking to taste your way through New Zealand’s wine regions for a day or looking for your next big cycling adventure on multi-day tours. Surrounded in natural splendor with culinary delights along the way – the cycling adventure of a lifetime awaits. 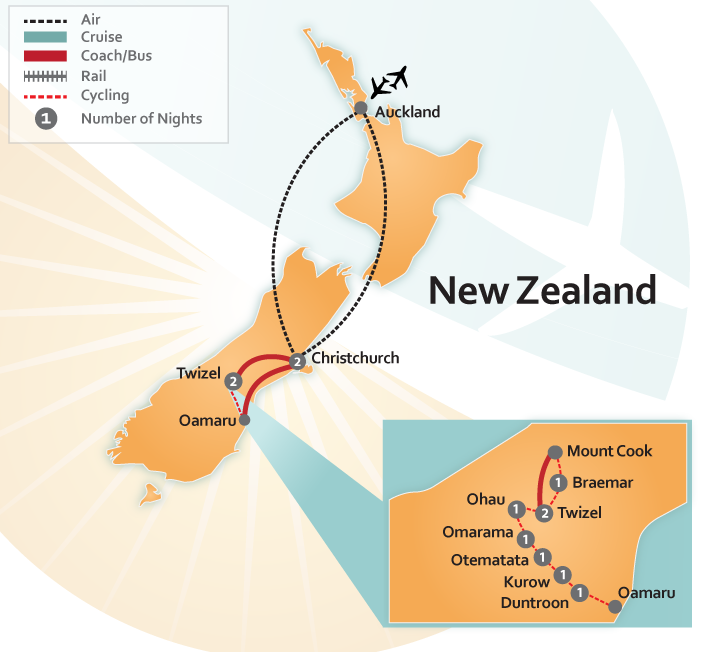 We look forward to helping you plan an incredible cycling vacation in New Zealand. Do You Want to Go to New Zealand?